A custom dashboard in Google Analytics allows you to get a quick glance at the metrics that matter most for your account. This dashboard allows you to even export a PDF file to pass to your team and client, so this is something that can be appreciated by all parties. This entire process takes only a few minutes to fully customize and can be shared with others. You can even download pre made templates from Google. Let’s get started on how to set this up. The first thing we are going to do is create a brand new dashboard. See the picture below for where that is on your platform. Next, we are going to choose blank canvas. 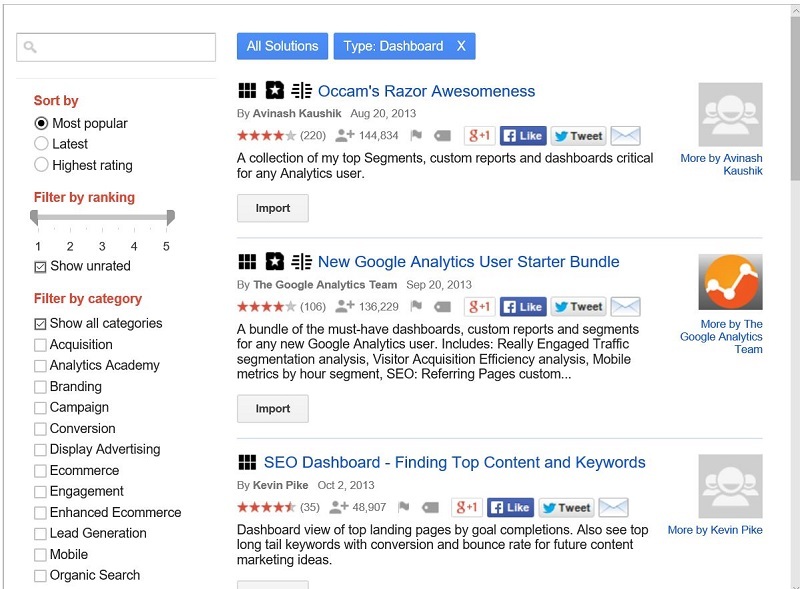 Whatever you call the dashboard will appear always on the left hand side in your analytics. From here, we have all the freedom in the world to customize this dashboard in any way we want. If you type in sessions, you will need to scroll down the menu a bit to just get sessions. The same can be said if you want to view goals and other metrics on your site as Google Analytics has a lot of options to choose from. Click on the add widget tab to add more widgets to your dashboard. You can also drag and drop the widgets in any order that you want at anytime and Google will save this for you. You can also click on the customize tab to change the size of your dashboard. You can filter out any metrics you don’t want to see in the dashboard as well. For example, you might not block your IP visits to your site in the filter section, but you can filter out your city from this dashboard to not include those visits. You can also block out any self referral visits to your site if you have few subdomains. 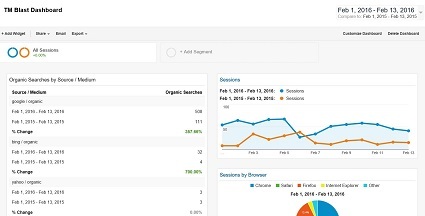 You can also use a pre made dashboard in Google Analytics. When you go to create a new dashboard, you will click on the import from gallery section. From there, you can download pre made reports that will self populate with your data from Google Analytics. Creating this dashboard is pretty similar to creating a macro in excel. You set up the rules that you want Google to report on once and then the report will look the way you want it every time you go into it. Creating this type of report will save you time when you need to look at key categories like conversions, clicks, bounce rate, and more for your campaign. Another important thing to remember about this is that you can have up to 12 widgets per dashboard, so you can create more if you run out of space.